Annie Kwok is a classical piano performance major from Honolulu, Hawaii. 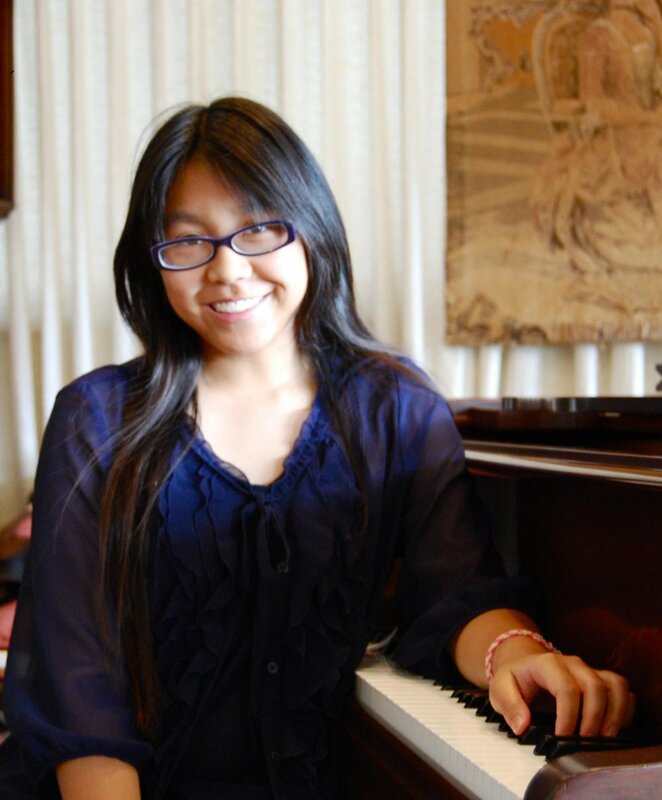 She began piano lessons at age four and joined the late Ellen Masaki’s studio in 2004. Under Mrs. Masaki’s guidance, Annie placed in numerous competitions such as the MTNA competition and the Aloha International Piano Competition, and was a recipient of the Morning Music Club Scholarship Award. At age 9, she performed the Bach Concerto in G minor with the Windward Ensemble Group. A few years later, Annie debuted with the former Honolulu Symphony (now Hawaii Symphony Orchestra) at age 13, performing Shostakovich's second piano concerto with Maestro Henry Miyamura. In 2014, Annie performed in Boston's Jordan Hall for NEC’s Pianists: Start the Revolution with Me concert, and also performed an early sonata by Scriabin in NEC's 2015 Scriabin: Towards the Flame concert series. An advocate for music education, Annie has previously interned as an Early Education Music assistant and has taught private piano lessons to students aged 4 to 18. She has participated in From The Top's Center for Development of Arts Leaders and is a performance fellow in NEC's Community Performances and Partnerships program. B.M., M.M. in Piano Performance, New England Conservatory. Annie has been coached by pianists such as Norman Krieger, John Perry, Leon Fleisher and Menahem Pressler. In 2010, she began studies with Dr. Thomas Yee, professor of piano at the University of Hawaii. Annie currently studies with Bruce Brubaker, Chair of the piano department at the New England Conservatory. Despite being pretty scared of heights, I love hiking! Throughout my childhood, I never appreciated the beautiful landscape of my home, O'ahu, and I really took it for granted. Recently, I've been exploring the outdoors more and trying to hike a ridge or waterfall once a week when I'm back on the island. I also love eating. I love working with young kids in piano lessons and classrooms.